Sole Proprietorships vs. Single-Member LLCs: Which is better? home / STARTicles / Sole Proprietorships vs. Single-Member LLCs: Which is better? As we explained in How to Form an LLC, choosing an LLC as your business entity is the recommended choice for most business owners because it blends the benefits of limited liability of a corporation with the favorable tax treatment of a partnership. However, if your business consists of just you, you may be wondering whether a sole proprietorship is a viable option for your business. The following information explains why we recommend forming a single-member LLC over a sole proprietorship. It’s just what it sounds like: an LLC formed with only one member. A single-member LLC can be a good alternative to being a sole proprietor, as it can give you the liability protection of an LLC. 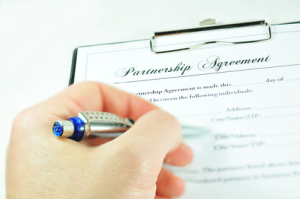 However, since you don’t have any partners, your operating agreement is typically a lot less complicated. You don’t have to build in any of the doomsday scenarios you want to think through when dealing with one or more partners because you have complete control. Furthermore, because you’re the only member, 100% of the income from the LLC is attributable to you. For that reason, it’s considered a disregarded entity by the IRS. Therefore, typically this entity will not file a tax return and will operate under your social security number instead of its own Employer Identification Number. What if I want to add a partner later? No problem. You can just amend your Company Operating Agreement and file for an EIN. You’ll want to consult with an attorney and/or accountant about how to account for any existing assets and liabilities held by the LLC when you make this change. Why is a single-member LLC better than operating as a sole proprietor? Liability Protection. A sole proprietor is personally liable for the activities of the business he is operating. Forming an LLC offers some level of protection, which prevents you from losing everything if something goes awry with your business. Capital Gains Tax upon a Sale. When you sell certain types of assets, like intellectual property (trademarks, websites, patents, etc. ), the sales proceeds can be subject to ordinary income tax. When you sell an entity that owns such property, it’s often possible to structure the sale to be capital gains, which are taxed at a much lower rate. Appearances. You will appear to be more professional if you’re operating as an LLC rather than as a sole proprietor. Note: Gaines Kilpatrick co-founded ChooseWhat.com and has gone through the entire process to incorporate ChooseWhat. Additionally, Gaines manages HR and has filed numerous legal documents for the company. However, he is not an attorney or an accountant and may not be supremely qualified to give legal or tax advice. We strongly advise you to consult with an accountant or attorney before taking action based on this article.